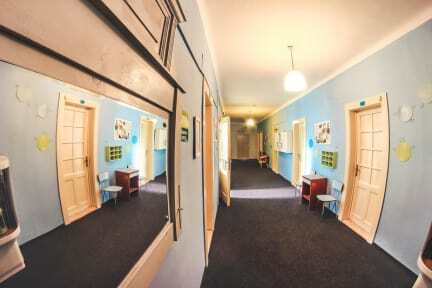 Hostel Dakura i Prag, Tjeckien : Boka nu! Really nice place in calm area! Clean, friendly and safe. Nice hostel, very friendly and helpful staff! Could maybe put something in the bathroom to dry you hands with haha but that's all.